A loan of $1,000 helped to buy a trailer to attach to his motorbike. Pich T., 35, is married and resides with his wife and three children in Takeo Province, Cambodia, an area known for pre-Angkorean temples. T. is a motor-taxi driver and earns an income of $3 per day. His wife produces hummocks (spelled "hammocks" in English), earning an income of about $1 per day. T. is requesting a loan of $1,000 to purchase a trailer to attach to the motorbike. In the future, he would like to use any additional profit to repair his house. 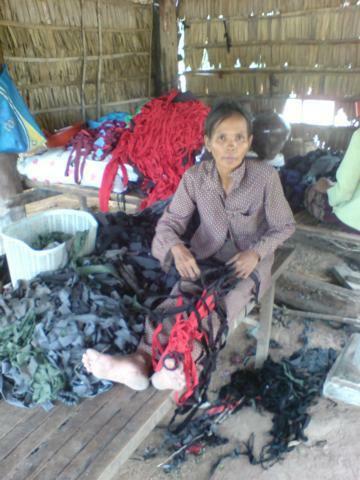 This is his second loan from CREDIT, a long-standing Kiva partner in Cambodia. T.'s wife appears in the photograph.